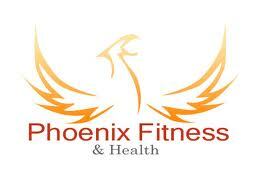 Phoenix has been a leading brand in producing fitness equipments for over 10 years; U.S. consumers brought millions dollars worth of Phoenix Health & Fitness brand exercise equipment from regional sport retail stores and national direct sales outlets such as Amazon, QVC, Mercantila, Sport Supply Group & most of the major chain stores.This brand has established itself in 1998 as a wholesale distributor of fitness equipment to retail accounts in the United States, Phoenix Health & Fitness offers a complete line of high-quality exercise equipment for the in-home and light commercial markets. Phoenix Health & Fitness develops the most up-to-date & greatest feature-rich products for the ever-changing fitness equipment market in the U.S. To facilitate long term growth, Phoenix Health & Fitness always maintains a fully stocked warehouse, competitively price its products and provides maximum support to its customers. Phoenix products price range starts from $ 149 dollars .Phoenix provides 1 year manufacturer’s warranty on the frame and 90 day warranty on parts.